but because it was all CREATED and CODED by Vermont students Grades 5-8. After a 90 minute visit by EMMA (Lucie deLaBruere's mobile studio for Creating and Making), Ms. Boucher and Ms. Ellingson's fifth graders at Mallets Bay Elementary School had learned just enough coding to imagine all types of possibilities for an Interactive Audible Garden Exhibit. The students started learning coding concepts such as algorithm, sequence, and events through an unplugged learning activity. They then pulled out their Chromebooks and wrote their first computer program in SCRATCH - a coding environment developed at M.I.T. Media Lab. By the end of the hour they were coding physical objects using an inventors kit called a Makey Makey. By the next time EMMA visited Mallets Bay school, a committee of 10 students had designed the most amazing garden exhibit and had already started to code it. After a mini lesson with Lucie who clarified a few coding concepts and introduced 'loops' the students design started to come to life. It was amazing to see the constructivist theories of Piaget and Seymour Papert in play where student questions naturally lead them to deeper and deeper understanding of how CODE works. Also at play were the principles of Project Based Learning. The students were driven by their goal to have the garden ready for their school Open House in just a few days before the Champlain Mini Maker Faire at Shelburne Farms where their Garden would be seen and experienced with hundreds community members. Flexible learning was evident as Ms. Boucher and Ms. Ellingson flipped lesson times around to allow the students to meet their goal and gave students choice about how they met some of their learning goals during their daily routines. Finally on the day of the Open House, the students took out the wire cutters and worked collaboratively to connect their props to the Makey Makey as they tested and tweeked their code. Transferrable Skills such as Problem Solving, Self Direction, and Integrated Thinking were evident throughout the morning as the interactive display came to life. Evidence of Effective Communication started with properly commented code and grew as they explained the phenomena of circuits and code to their parents and school community. Bringing the exhibit out of their school to the Maker Faire not only gave the students a chance to further grow their communication skills, but it also brought citizenship into the mix. They helped visitors from young children to senior citizen experience grow confidence with circuits and code as they explained how their interactive garden worked. On the second day of the Champlain Mini Maker Faire, middle school students from St. Albans City School and North Country Junior High School and the Northeast Kingdom brought their contribution to the Interactive Garden. 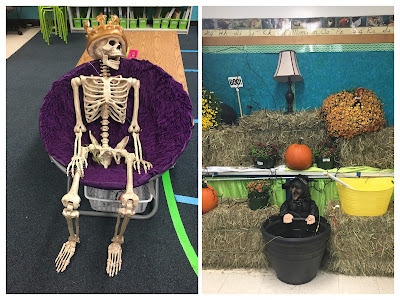 St. Albans City School, STEM teacher and tech integrator, Erica Bertucci, used Open House as a target to engage some students from last year's coding class (CODESMYTH) back into the coding scene. The students spelled out the word ONOMATOPOEIA with a variety of conductive material and used a Makey Makey to add sound to it, to flowers, and to an interactive fishing game. 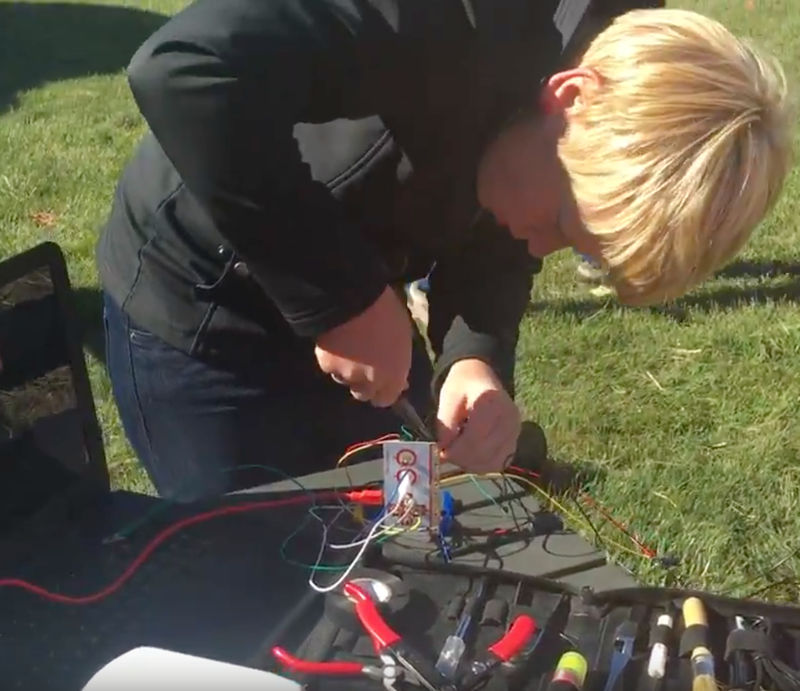 Building on previous understanding gained from last year's coding class by introducing new elements such as the Makey Makey provided a connected learning experience that prepared these students to communicate that knowledge to visitors of the Maker Faire. Their section of the exhibit lent itself to explaining how circuits and code were used to make flowers talk, chickens cluck, and skeleton's laugh. It allowed visitors to get a look under the hood and walk away with a better understanding of circuits and code. The clucking chicken and singing mums and musical squash were contributions of a group of middle school girls who had carried their design down all the way from the Northeast Kingdom. The girls had been introduced to the Makey Makey and Coding through TechSavvy Girls Summer Camp and were hungry for more. They are on a mission -- to increase this type of learning in their school. They will be working with Lucie deLaBruere and their teachers on a project that will bring EMMA to their school so that more students can experience this type of creating, making, and STEM/STEAM type learning. Project partners, Google, University of Vermont, and Tarrant Institute are excited about the opportunity to provide rural schools support in establishing their own spaces for students and community to CREATE and MAKE together. With support from educators and parents and few visits from Lucie and EMMA, these middle school students were totally self directed and turned a hunk of found debris into a beautiful conductive railing for their fun noisy chicken, cow, pig, eggs, and mums that captured the attention of both YOUNG and SENIOR visitors at the Maker Faire. With tools in hand they were quickly able to make minor repairs needed to keep the display working throughout the day. They are returning home proud of their success and ready to lead a movement to create a makerspace for students in their community. The reaction of the community was NOTHING SHORT OF AMAZING TO WATCH! "Yes... MS/MR ____ at that school is doing fantastic things with STEM/STEAM or Creating and Making"
I knew that we were doing more than providing these students with a learning opportunity. I knew that we were sending out a message to our communities that amazing learning is happening in our schools. And I can't say enough about the the Create Make Learn Institute tribe of educators who helped deliver this message to our community via the Champlain Mini Maker Faire. Each of us increased our own learning as we supported this project and are making plans to use our new knowledge to spread the experience of creating and making to others. 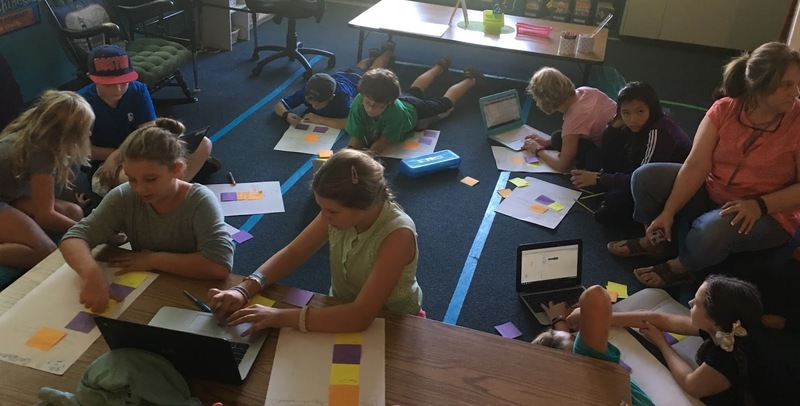 Caty Wolfe (Center for Technology at Essex) challenged herself to learn new coding routines that allowed a single pot of flowers to generate multiple sounds as she and her children prepare to work with students at Fletcher School. Several students from Integrated Arts Academy who visited the exhibit shared how Ms. Walters had introduced them to both Scratch and Makey Makey, therefore they understood how the garden worked. THANK YOU Kate Ellingson, Aimee Boucher, Erica Bertucci, Caty Wolfe, and Shannon Walters!